Cheesy Chicken Broccoli Rice Casserole!! 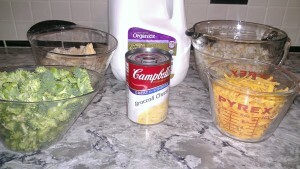 Mix all of the ingredients together in a bowl and mix well. After mixing pour into a 9×13 baking pan. 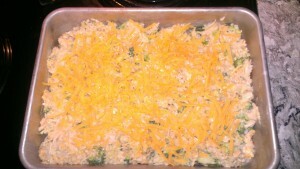 I always reserve a little of the shredded cheese and sprinkle it on top. Bake in a 350 oven for 30 minutes or until heated through and bubbly. 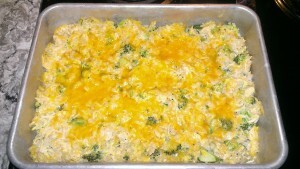 Take it out of the oven and watch your family devour this delicious casserole. All of the ingredients ready to be mixed together. I reserve a small amount of cheese and sprinkle on top before baking. Out of the oven, hot and ready to eat! 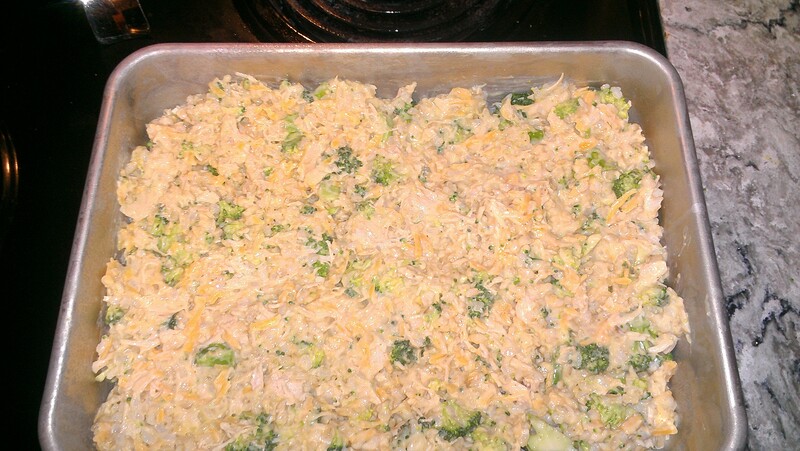 This casserole is a hit in my house, I hope your family enjoys it as much as mine does! Agreed Heather. 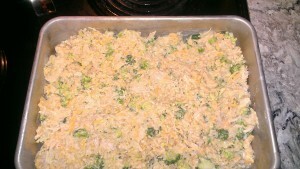 And if I can use organic ingredients and whole grains it makes it even better! YUM! Sounds good. 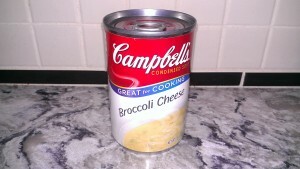 I would be worried about the soup as they usually have so much salt and sugar that they counteract the health benefit. 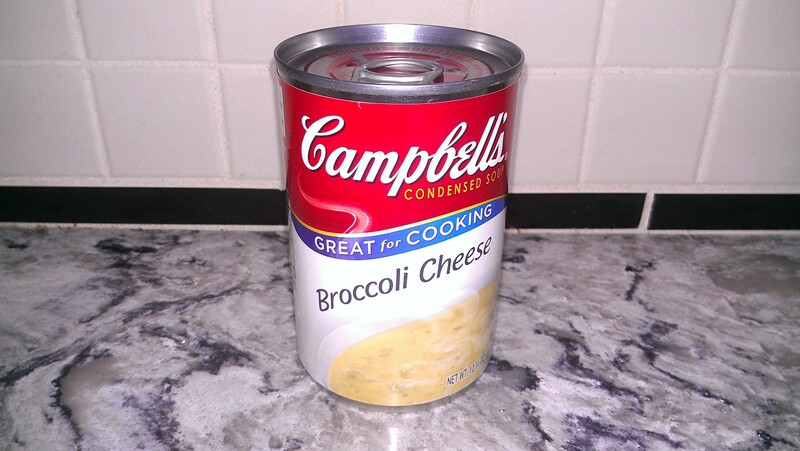 Do you use the low salt soup?